Things have been hectic. 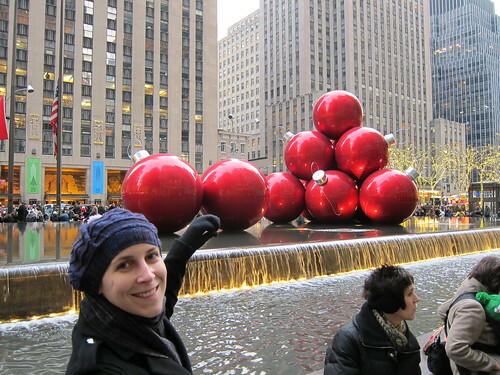 To escape the madness, the hubs and I went to New York City for the weekend. Although booking the trip was probably a momentary lapse in judgement of how much time we'd need for holiday preparations, we were both desperate for a weekend away. (Please don't ask why my hand is raised like that. I have no idea.) We spent most of the weekend walking around the city and just enjoying some time together before hubs makes the big move to California and we start living in different countries. 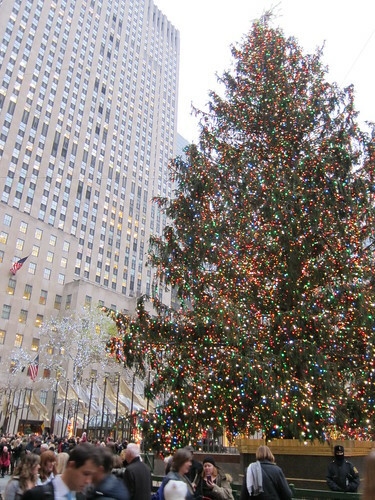 In addition to some casual strolling, we also found some time for some of the classic touristy holiday things, such as admiring the tree at Rockefeller Centre. 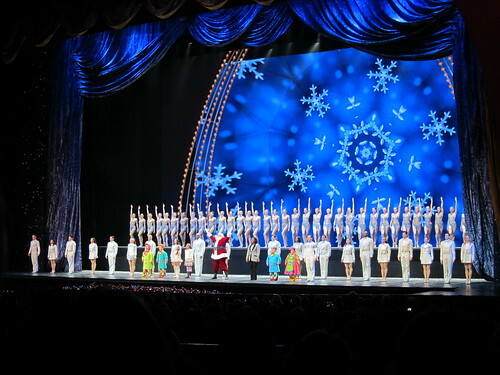 And the Rockettes' annual holiday production. 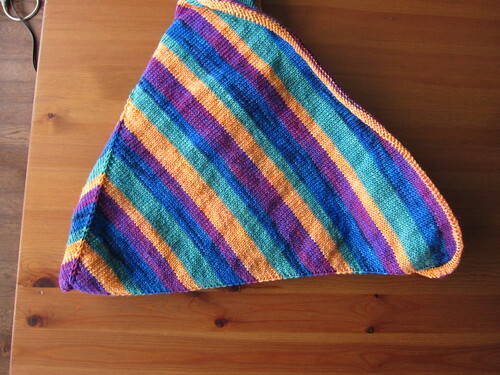 Throughout the hours spent at airports, on planes and the hours spent relaxing on our mini-vacation, I knit. What was once a tiny square of knitting is actually turning into a fairly respectable baby-sized blanket. Since Christmas is a mere 5 days away the next few days will likely be a dash to the finish line. In my "spare" time between now and Ho Ho Ho day, I'll be trying to wrap things up at work for the holidays, get my Christmas shopping finished and wrapped, finish this blanket and a few other handmade gifts I have planned. Wish me luck...I'm going to need it!